Awseomesubmitted by Jacquelyn O. - Jan 07, 2019 |Recommended: YesEveryone is so nice and they always answer all my Questions with a BIG SMILE. Its fine with some minor problems that become more apparent occasionallysubmitted by Makilah C. - Nov 13, 2018 |Recommended: YesI'd say the some neighbors as loud and sometimes things break but overall it's just ok. Fix Problemssubmitted by Greg J. 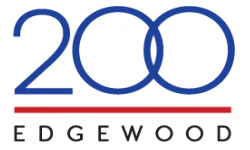 - Jul 31, 2018 |Recommended: NoI have a problem with how inconsistent the management are at 200 Edgewood. I have heard of too many complaints about how maintenance and management bust into rooms with out any warnings or emails. It would make more sense if there were type of complaint, but randomly intruding on students while they are asleep, naked, in the shower, or simple caught of guard is not okay. The maintenance workers very pleasant, its simply no communication with the people who live in the apartment. And now I'm hearing about intruders in the building after dark. The apartments are nice but the staff could be more helpful and pleasant. Horrible, Extremely Pricy for cheap units, walls thin, front desk rudesubmitted by Kayla G. - Apr 28, 2018 |Recommended: NoI have experienced several problems in my 4 months of living here First, the walls are so thin so you can hear every little noise and the refrigerator is always loud and running. Also this apartment sometimes allows people who aren't living here to throw parties in the courtyard area which seems unprofessional in my opinion. One night during midterms week, I was forced to listen to extremely loud rap music and screaming from the courtyard just to see some random students hosting a sorority fraternity party. When I asked the security guard a young man at the front desk to look into it and they didn't seem to care at all. Secondly, it is very expensive It is very pricey for a dingy and small apartment you can't open any windows which is odd to me so you are forced to smell whatever odor are in your hall it's usually marijuana odor . For the price to live here for one month, you could get a luxury loft in Buckhead. Lastly, maintenance takes forever Upon moving in the dishwasher was broken and it took maintenance 2 weeks to finally stop by. Also our stove broke and maintenance didn't fix it until 2 months later. I wouldn't recommend this apartment to anyone. If you have the option between living here being homeless, the homeless option is a better one. Also on their site it says 4 5 stars but if you go on google it says 2 5 stars. They are known for basically scamming students into living here. Its beautiful and luxurious but one down side.submitted by Wandezia H. - Apr 17, 2018 |Recommended: YesNot much to complain about the place except for the trash pick up, not being picked up every day like the staff said. The property is well kept up,but some adjustments could be made.submitted by Raina B. - Mar 03, 2018 |Recommended: NoI would tell them the location is perfect. The staff are very nice,but the price is costly. I would advise them to live somewhere else,because you would save and pay less if you were to buy a house.